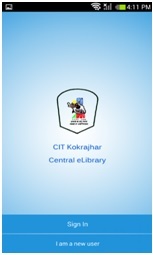 The Central Library of CIT Kokrajhar came into existence along with the establishment of the institute and is located in the ground floor of the Academic Building-II covering 5400 sq. feet area at present. The permanent building and the interior works for the library has been completed and the shifting to the new building is under process. At present the library has a collection of more than 100000 resources comprising of 70,000 books,39,000 E-Books,1,116 E-Journals, 2,000 CDs& DVDs and other resources like Old Question Papers and Project Reports in digital formats for the users. 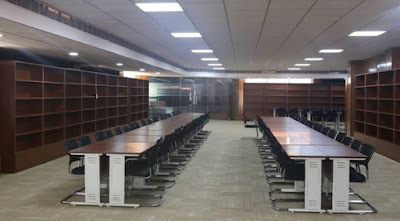 The library has gone through different phases since its inception and tremendous efforts have been put forward from all corners to make it a “Smart Library” by way of introducing innovative practices, enriching with technologies related with the process, involving the working staff in different innovative programmes, etc. 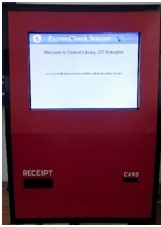 Now Central Library of CIT Kokrajhar has become the first Library in Assam having full-fledged RFID application and Web OPAC service. SOUL 2.0 (Software for University Libraries) which is designed and developed by the INFLIBNET Centre based on requirements of college and university libraries was selected considering the various parameters like compatibility, manpower availability, developed by Govt. 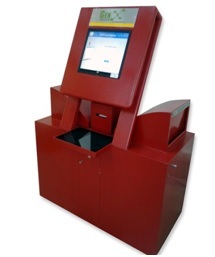 organization, ownership of responsibility, reasonable price, easy to use, technological compatibility etc. Radio Frequency Identification which is known as RFID Technology in short are being used by many libraries for different purposes. 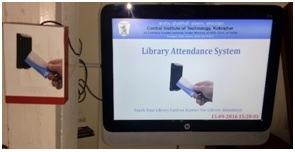 This technology may be called smart technology which is being applied by many libraries. In general RFID in the library is used for security, self–Check- in and check-out, Patron Check, User Entry Exit record, self- shorting, and other purposes. 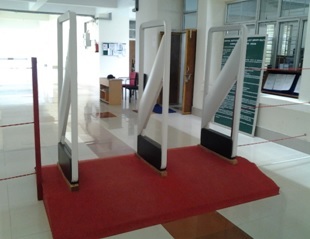 Central Library of CIT Kokrajhar has been able to apply RFID Technology successfully in most of the function of the library system. The major sections of the library with RFID Technology applications are- Circulation- Enabling Self Issue-and Return facility, Security-Enabling Anti-theft alarming system, Patron Record- Enabling keeping record of entry and exit of the patron, Patron Check- Enabling Self Credit Check System. OPAC may be termed as the “Door of Window of the Library” which shows the holdings of the library in detail. Online Public Access Catalogue shortly known as OPAC may be sub-divided in two types based on its accessibility. These are-OPAC which are accessible within the campus through intranet and Web-OPAC which is accessible from anywhere and anytime through internet. Maintaining Web-OPAC continuously without any interruption is a very critical task which require dedicated server with dedicated power backup which many libraries are unable to continue seamlessly. 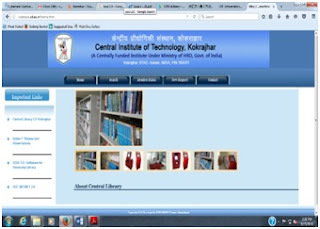 Central Library, CITK has been able to provide Web-OPAC seamlessly with the help of SOUL 2.0 software. Electronic library shortly known as E-Library of Central Library, CITK is developed by Knimbus.com basically to provide single window remote access of subscribed E-Resources of the library based on user ID and password. Normally, subscribed E-resources are IP configured and the access is limited within the campus and IP range. 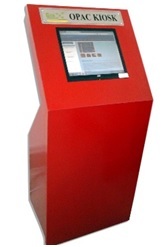 But this E-Library module provides smart access to the smart content from anywhere in the world. It is a general observation that the use of smart phone among the various sections of the people are increasing day by day due to availability of such devices in cheaper price. This increase in number of smart phone use is more in the case of young students. The use of smart phone among the students can be assumed at almost 100% in the institutes’ of higher learning so mobile devices are one of the most convenient way to reach to the library users in the academic and research library environment. 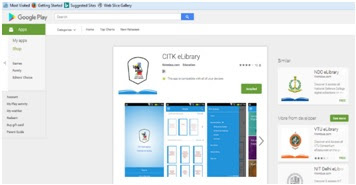 So as to provide quick and remote smart access of smart E-Resources of the library on the go, a mobile application for the Central Library, CIT Kokrajhar has been developed which is downloadable from google play store (https://play.google.com/store/apps/details?id=com.elib.citK&hl=en). The future plan of the library is to make Central Library “A Place of Knowledge Hub” with user friendly and conducive environment and abundant of various knowledge resources. For this purpose a new building with 19000 Sq ft. Area has come up and all the interior works has been completed. It is housed with all the modern facilities having capacity of 260 reading space at a time and holding more than 250000 physical books. This new library will be of fully centrally air-conditioned for comfortable reading. The plan of the library is to make it 24x7 service. 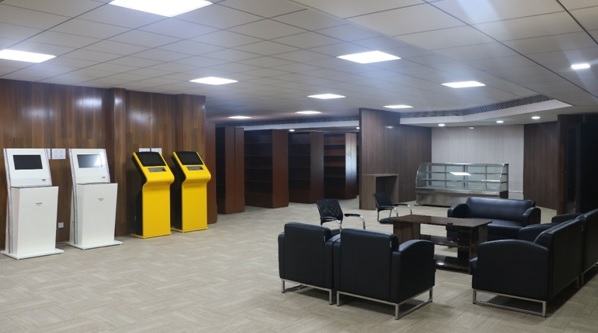 This new library has also separate sections like Electronic and digital access, Faculty Corner, Conference Room, A Cafeteria, Project Work Section etc. which are dedicated for the library users. 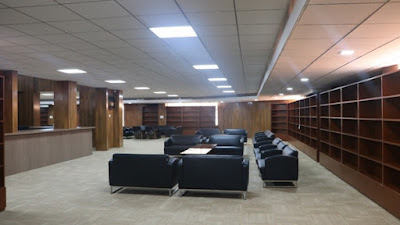 The new library will also have a 24x7 CCTV surveillance system and 24x7 Wi fi Connection. These facilities with new building is already completed and the library is preparing to shift early for the convenience of the users. The library has also a plan to crack the technological barriers by applying “Smart Shelving System” and “Smart Tracking System” which are under critical study at present. 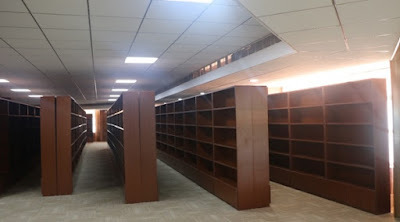 As suggested by many faculties and the administrators the Central Library is proposed to be named as “Bodofa Upendra Nath Brahma Central Library” in the name of the Father of the Bodos as his dedication and mass non-violent movement has brought everything what we are getting today in this region and CIT is not an exception.